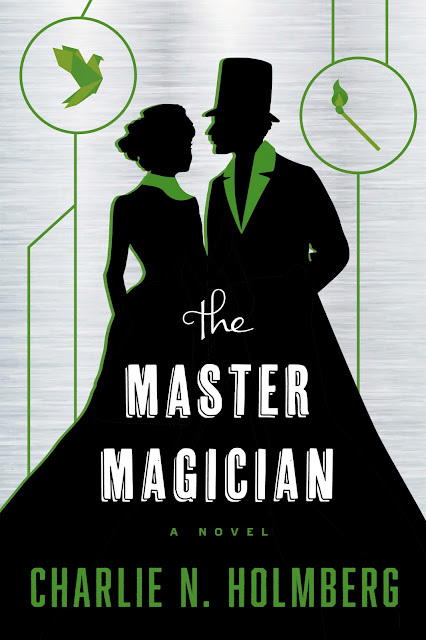 I am super excited to see that we are getting close enough to the conclusion of the Paper Magician series for a cover reveal of the third book The Master Magician. While all seems set for Ceony to complete her apprenticeship and pass her final magician’s exam, life quickly becomes complicated. To avoid favoritism, Emery sends her to another paper magician for testing--a Folder who despises Emery and cares even less for his apprentice. To make matters worse, a murderous criminal from Ceony’s past escapes imprisonment. Now she must track the power-hungry convict across England before he can take his revenge. With her life and loved ones hanging in the balance, Ceony must face a criminal who wields the one magic that she does not, and it may prove more powerful than all her skills combined. And now for the super awesome cover that makes me incredibly happy I have already placed my pre-order. You can check out more news and updates for Charlie Holmberg's books at her great website. Pre-order from Amazon.